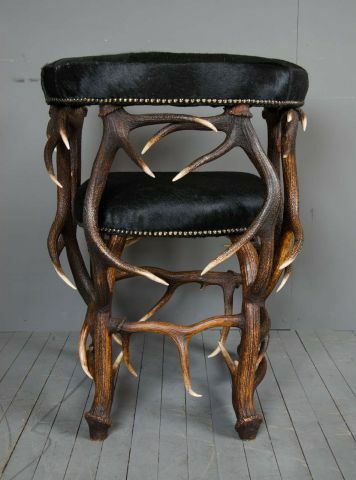 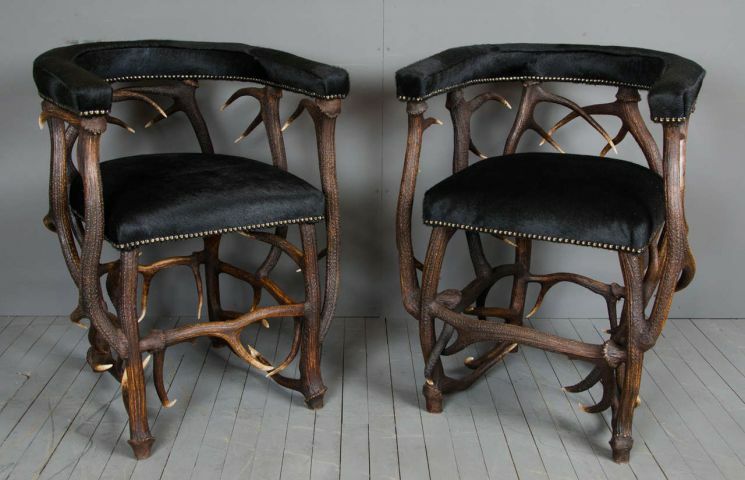 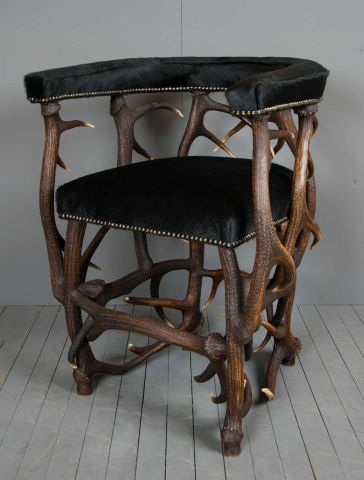 This unusual and sculptural pair of Antler Armchairs are an original design, constructed from naturally shed red deer from Scotland. 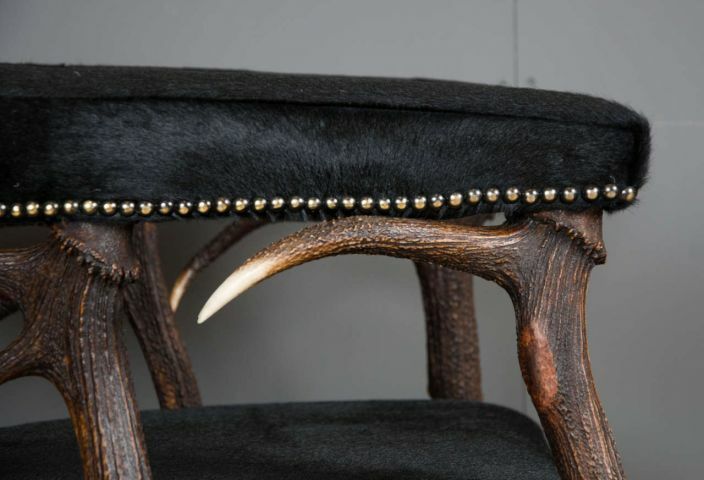 The chairs are very comfortably shaped, with a wraparound design and deep seat. 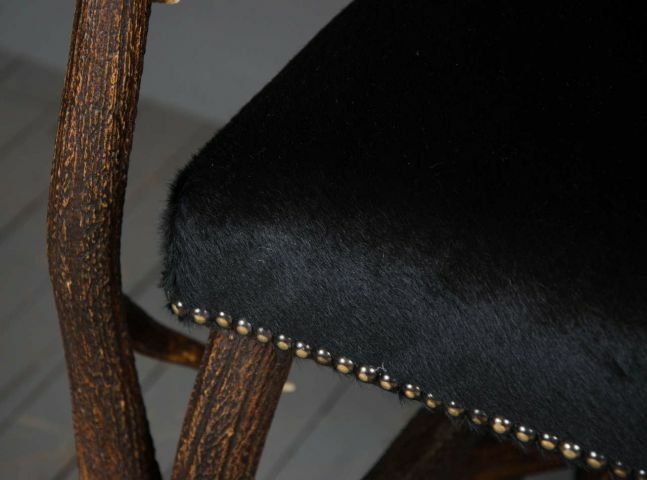 The arm rests and back support, as well as the cushioned seat is upholstered in a high quality, glossy black fur hide. 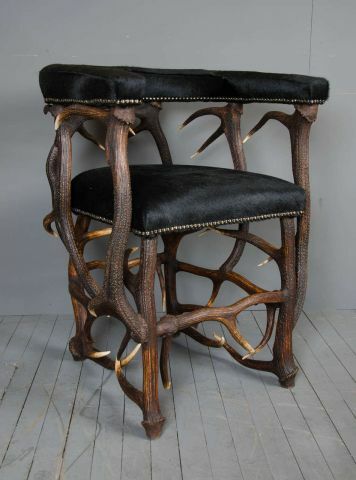 Each chair measures approximately 23 in � 58.5 cm wide, 23 � in � 59 cm deep and 31 � in � 79.4 cm in height.